I think one of the most hysterical insults you can hurl at someone is 'tart.' Though isn't exactly a colloquialism, I would like to put it forth as your new barb of choice when you sit down to a session of slanderous gossip. 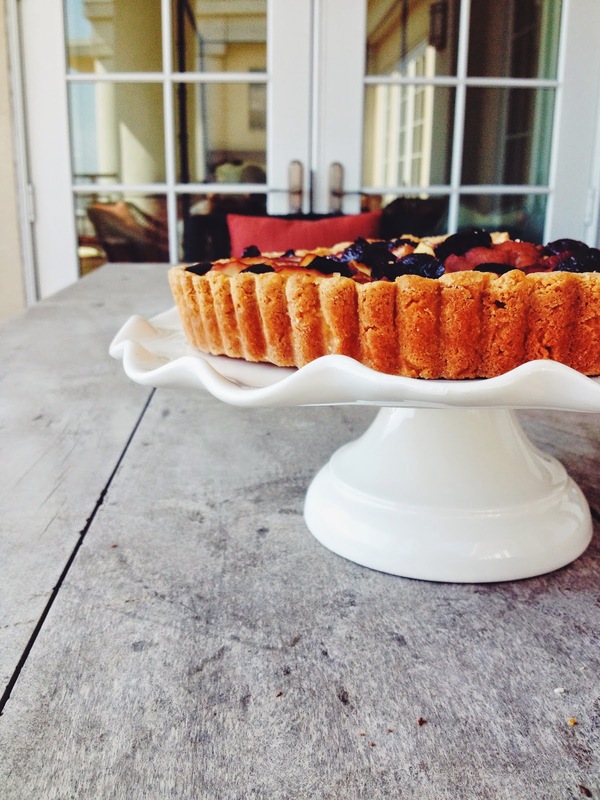 I've had occasion to use the word tart quite a bit lately, and, let me tell you, I ain't even mad. It encapsulates my sentiments perfectly. In addition to serving as glorious jibe, a tart just so happens to be one of my favorite ways to end a meal. I'm not particularly partial to cake, and I find pie a bit overwhelming. But a tart? Well, that's almost always exactly what I want. They're not too sweet. They have a nice balance of a crisp, crunchy crust and sweet, smooth filling. And the addition of ripe summer fruit both makes them pretty and rounds out the flavors. 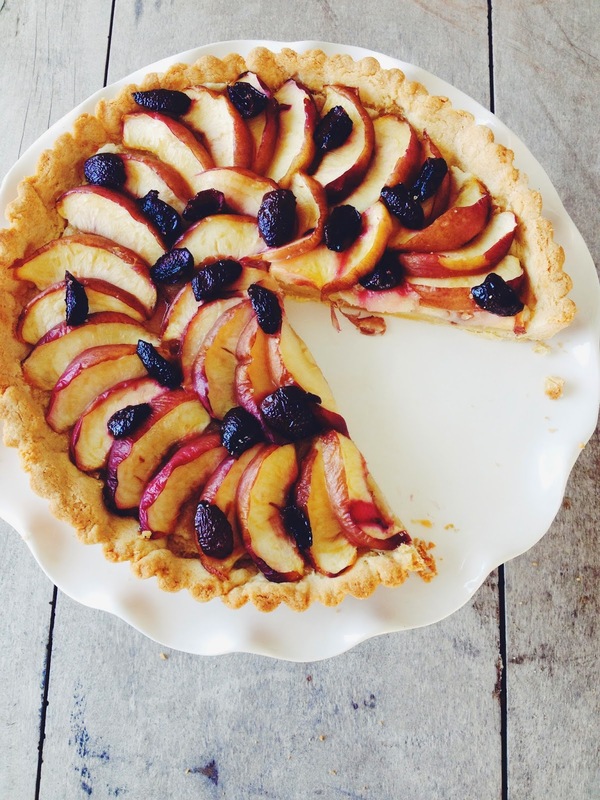 This particular tart is nice because you can use whatever fruit you have on hand, and it will still be delicious. Even if you don't happen to have almonds on hand for the filling, you could really substitute any kind of nut. 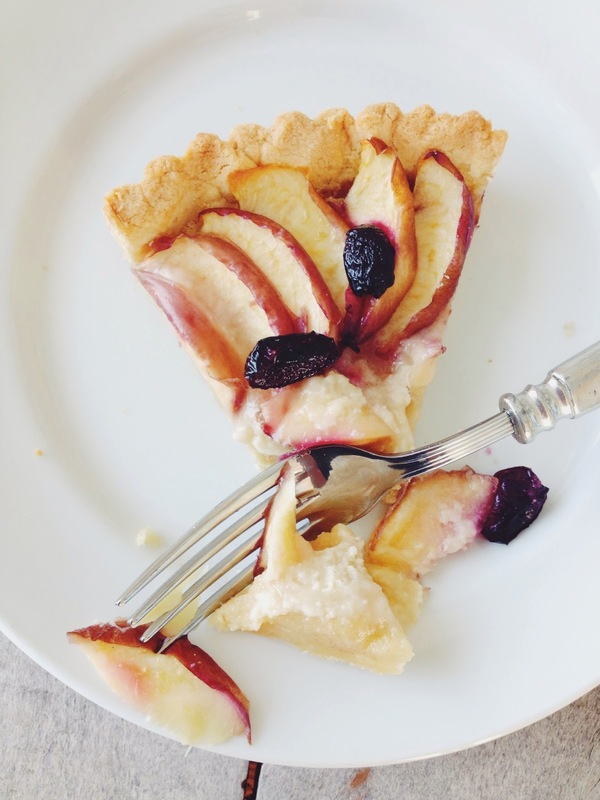 This tart is quick and versatile and pretty wonderful. In the bowl of a stand mixer, cream butter and caster sugar until pale and fluffy. Beat in egg yolks, one at a time. In three additions, beat in flour until dough forms a ball. Wrap in plastic wrap and refrigerate for 30 minutes. Preheat oven to 325 degrees. Once chilled, roll out dough on a lightly floured work surface until 1/4-inch thin. Drape over a 9-inch tart pan and press into pan. Pierce bottom lightly with a fork. Place a sheet of parchment paper over dough and fill with pie weights or rice. Bake tart for 15 minutes, until golden at the edges. Remove from oven to cool. While the crust cools, make almond filling. In the bowl of a food processor pulse slivered almonds, powdered sugar, and butter until almonds are ground and mixture is smooth. Add egg white and almond extract and pulse until the mixture has thinned slightly and is smooth and spreadable. Dollop almond filling over tart crust and spread to cover the bottom. Arrange nectarine slices in concentric circles. 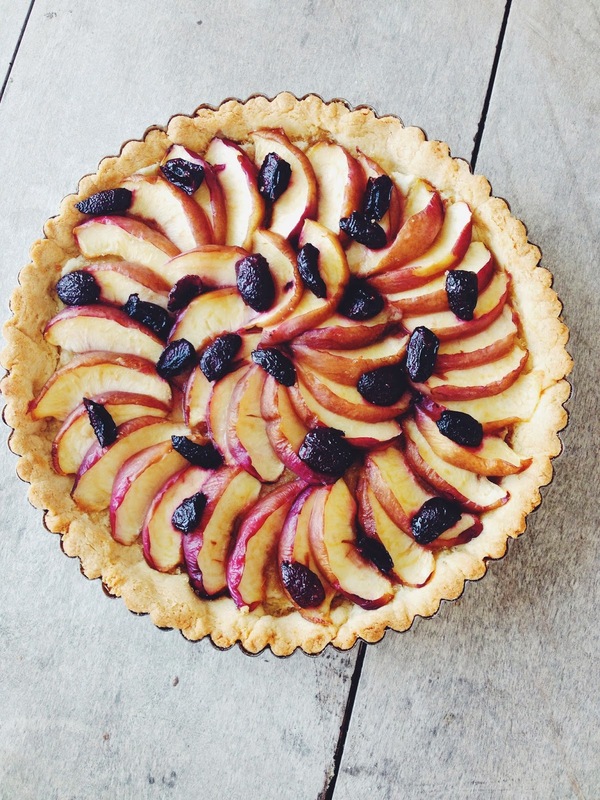 Scatter quartered cherries over the tart and sprinkle with Turbinado sugar. 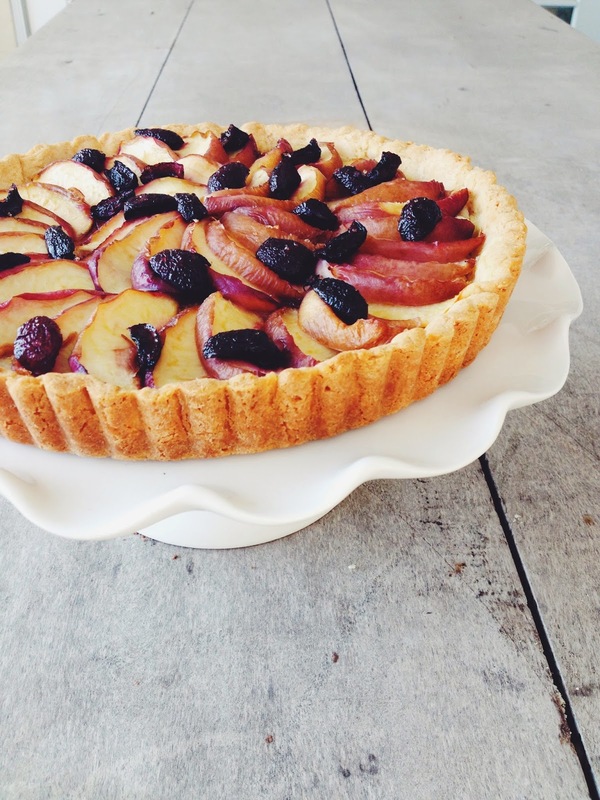 Bake for 20 minutes, until fragrant and the nectarines and cherries have softened. Let cool completely. yum looks divine! love the flavour combination of the stone fruits. definitely a recipe i will be trying. thanks for the awesome idea!